Here is the meaning and origin of the Liddell name. 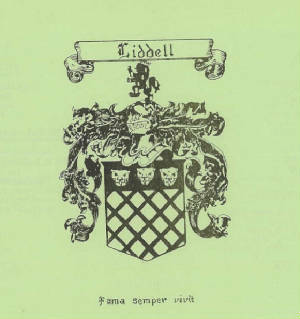 Liddell, Liddle- (Eng)- One who came from Liddell (Loud River Valley) or dweller at the Liddell River both in Cumberland. The Liddell River is located in Ireland. "Local: From the river Liddell"
According to the story that has been handed down generation after generation...Long, long, long ago far away in Ireland there was a terrible flood destroying everything surrounding Liddell river. After the flood some children found a baby near the Liddell River. No trace of the baby's parents or any relative. The children took the baby home to their parents they raised the child up and since he had no name or identity they gave him the name, Liddell. Since they found him at the river, like the biblical story they called him Moses, Moses Liddell.